Gorgeous home with easy access to Rough River Lake! If you’re interested in lake homes for sale, consider Rough River Lake in Kentucky. Rough River Lake is a geological wonder and a modern-day playground, inviting lake home owners (lake home renters) and guests to revel in all recreation opportunities it has to offer. 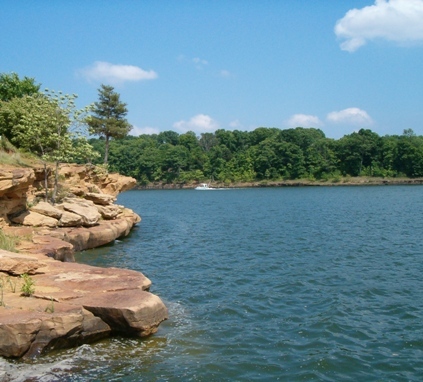 Rough River Lake touches the counties of Breckinridge, Grayson, and Hardin, and offers 5,100 acres of surface water for prime fishing conditions. Experienced and new anglers agree that the fishing ...Learn more here! Wow what a view! Lakefront Lot! Amazing lake front lot on a point! Rough River Lake touches the counties of Breckinridge, Grayson, and Hardin, and offers 5,100 acres of surface water for prime fishing conditions. Experienced and new anglers agree that the fishing is great year round, hosting various tournaments on the lake throughout the year. Crappie, catfish, and bass fishing is extremely popular in these parts; in fact, many fisherman use the catch-and-release style when fishing in search of their next trophy fish. For optimal fishing, more than 140 spots around the lake are approved for “fish attractors,” where anglers are allowed to setup structures like felled and recycled cedar trees to draw in schools of fish. 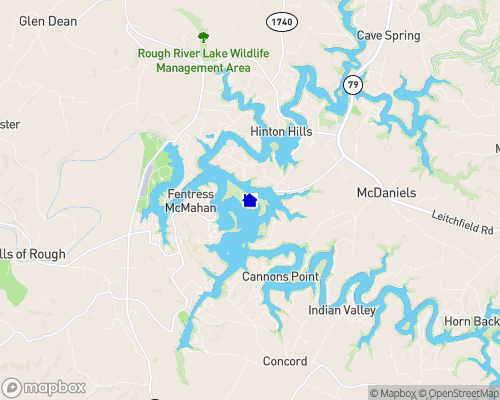 Lake properties for rent along the Rough River Lake have full access to the many boat ramps, marinas, and rental equipment shops available throughout the year. From boating to jet skiing to kayaking, the whole family can get excited about spending the day on the lake near your lake-view cabin. Several campgrounds also circle the lake, providing practical and entertaining accommodations. For example, the Axtel Campground features a beach and boat launch, and the Laurel Branch Campground includes a nature trail. When that competitive streak finds you, head to any local golf course and enjoy a different type of fun in the sun. The Falls Resort and Golf Club is as luxurious as it is challenging. Having won several awards since its inception in 1997, The Falls encourages guests to stay, play, and indulge. If you’d like to live on a Rough River Lake golf course, visit GolfHomes.com for property listing details. Rough River Lake is a true Kentucky treasure for the ages. The lake hosts some of the most stunning topography in North America. Its unique limestone bedding, along with rich currents of surface and subterranean rivers, has created Mammoth Cave, the largest cave in the world. There’s always another side of Rough River Lake to explore and experience for yourself. Rough River Lake, with 5,200 acres, is the perfect location for the water sports enthusiast. The marina offers 121 open slips, 29 open houseboat slips, 48 covered slips, a launching ramp, and rental fishing boats and pontoon boats. The lake is a man made lake that has around 50 miles of surface that goes into several fingers of the main lake. Enjoy the gentle waves of Rough River Lake on the public beach, serviced with a bathhouse. Open seasonally. The avid angler will delight in the abundance of largemouth, white, and Kentucky bass, bluegill, channel catfish, crappie, and rough fish. Building restrictions: Most subdivisions are restricted to site-built homes, there are subdivisions that allow mobile and modular homes. Rough River Lake contains many species of fish, but the most sought after are Bass, Crappie and Catfish. Bass fishermen tend to use the "catch and release" method of fishing looking for trophy fish. Bass tournaments occur throughout the year. The Hybrid Bass has been stocked annually in Rough River since 1996 and many are exceeding the 16 inch size limit. One fish was caught early in 2000 weighing eleven (11) pounds. Crappie are the main variety of fish, not only providing recreation to many throughout the year, but providing some excellent eating. Since Crappie like underwater structures the Corps of Engineers under their Volunteer Program allow visitors to establish "Fish Attractors". Their are currently over 140 approved locations. Cedar trees make up the biggest majority of structures in use at this time. Many people use Christmas trees when they are finished with them. The biggest tree you can handle is the best. The Corps will furnish concrete blocks and strapping material. The best lake level to install the fish attractors from a boat is 8-10 feet below summer pool which would be between 480 m.s.l. - 482 m.s.l.